Weak moon impacts on condolences and concentration. Weak Moon creates hypothalamus and amygdale. Weak Moon creates depression. Weak Moon affects the progeny of women. Weak Moon gives weak child. Weak Moon affects the thinking power. This also increases anger and gives negative impact on person’s conduct. Moon is also factor of relation with mother. Kemdrum dosh affect Moon. This makes negative impact on mother. This also weakens luck. One cannot think too much due to Kemdrum dosh. People face many obstacles due to kemdrum dosh. Nowadays, kemdrum dosh increases. Stress also increases kemdrum dosh. This also increases due to separated family. Social media increases negativity. When Moon affects by inauspicious planets then kemdrum dosh occurs. This also occurs when Moon’s ray not come to the person. Child born in kemdrum yoga may suffer with Schizophrenia. One loses control over urine due to kemdrum yoga. They do urine in bed for long time. 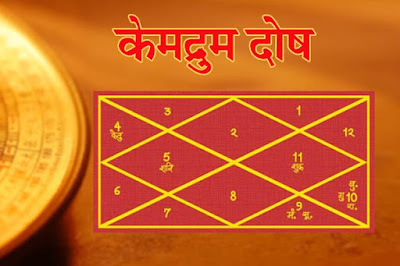 One should give power to Jupiter, Mercury and Venus to reduce effect of kemdrum dosh. If one gets anger, criticism and irritability then drink milk with turmeric or water with turmeric. If you’re suffering with negativity then try to become positive. People affected with kemdrum they should avoid blue, black, grey and red color clothes. People affected by kemdrum should be fateful with favored god, idol and parents. They should avoid discrimination. Their hypothalamus would be weak. Our mind has 70% water. Those who drink less water or criticize others their mind affects. There would be lack of water in creative people. In this case, drink at least 4 liter water in a day. Take bath from shukal paksh and full moon day, in evening. Sit in front of Moon and remember your favored god. This will change your thoughts in two-three months. People affected by kemdrum get threat. They get threat from inadvertent fear. They should use silver. They can wear iron ring in thumb and apply coconut oil on upper part of thumb before bed. Put silver wire, camphor, white sweet, yogurt, rice and sugar in one white cloth and prepare one packet. Tie this packet with white thread and donate it to poor. Do this remedy on every full moon day. One can get rid of every problem. Offer mishri to your favored god and eat it in morning. Drink two glass of water. You can also feed mishri to others. This strengthens the Moon. Do abhishek on Shivaling on every Monday. Chant “Om Sum Somaya Namah or Om Shram Shrim Shrom Saha Chandramashaye Namah” for 108 times during abhishek. Kemdrum dosh can be avoided through the root of khirni or its fruit. Tie the root of khirni in white cloth and wear it on shukal paksh’s Monday. You can eat fruits of khirni. People affected by kemdrum should speak less. They should leave secluded life. Also, do meditation of your favored god in morning-evening.